Unlike most people, when I compare pictures of cities from bygone eras to what they look like now, my eyes immediately go toward the cars. 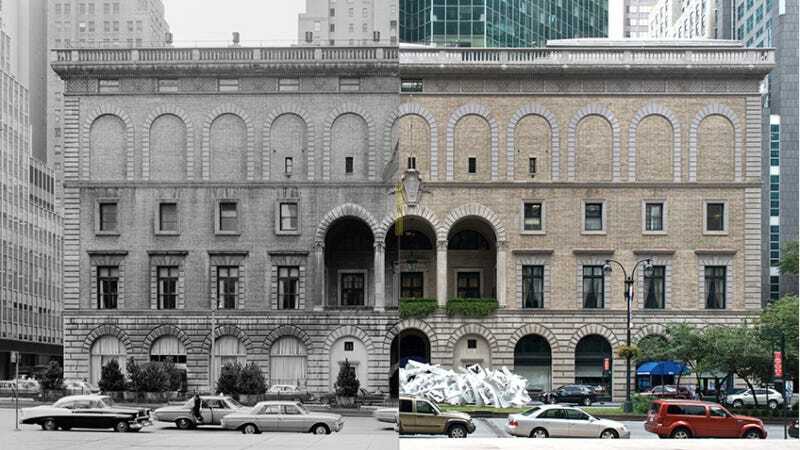 Our pals at Gizmodo have the scoop on a blog that matches up photos of modern-day New York with what the city looked like in decades past. It's fun to see how the city's landscape has changed, but it's even more fun to spot the cool old cars.